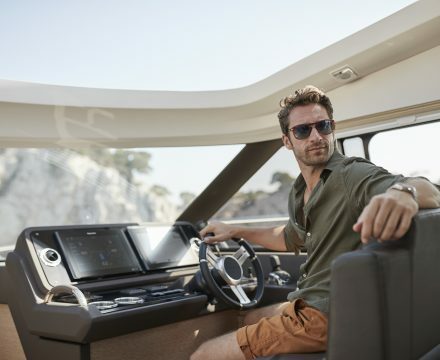 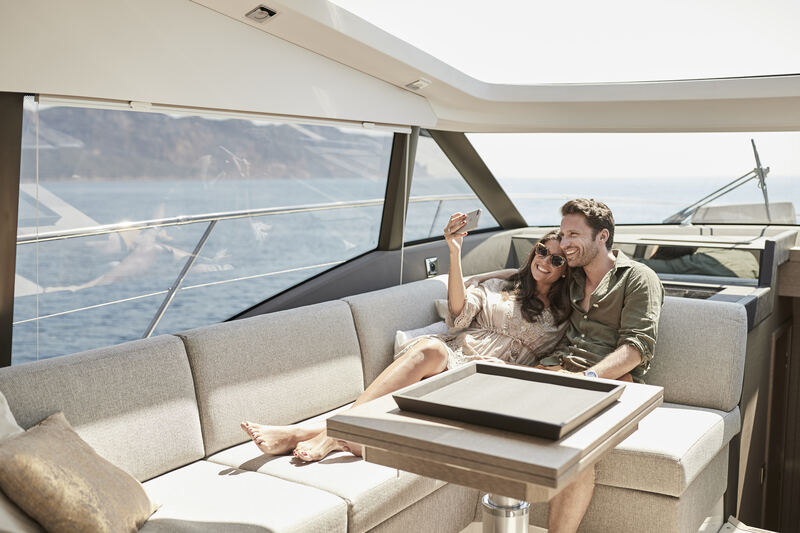 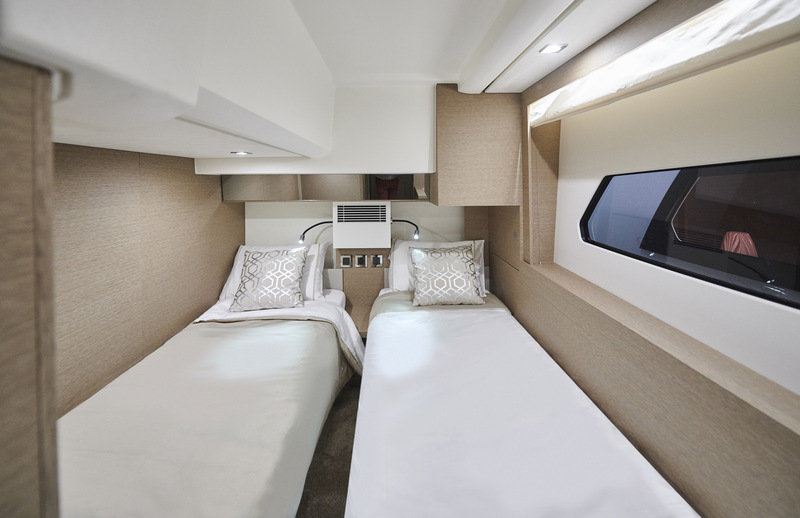 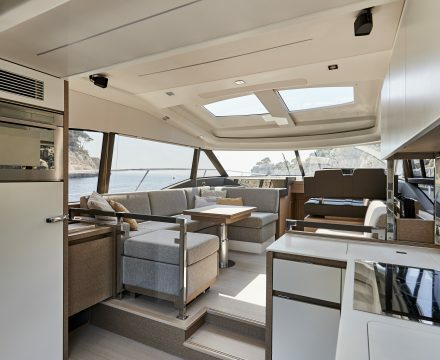 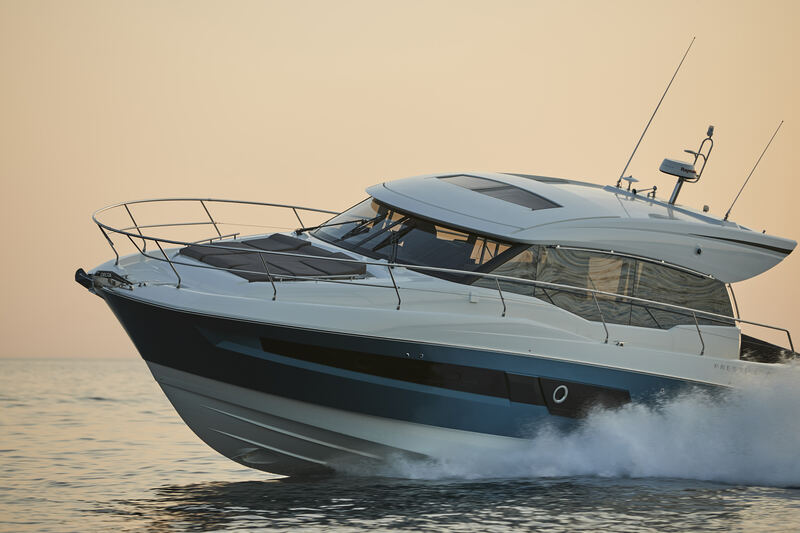 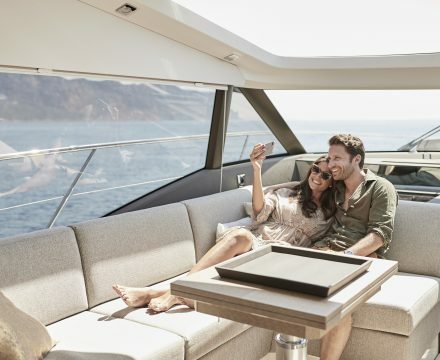 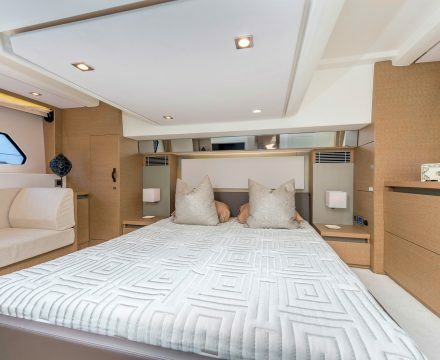 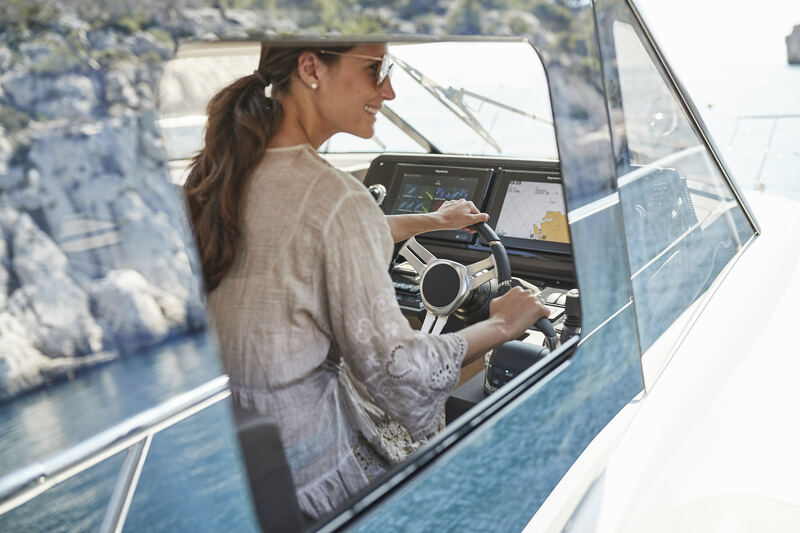 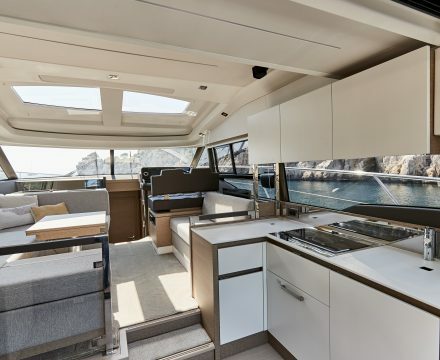 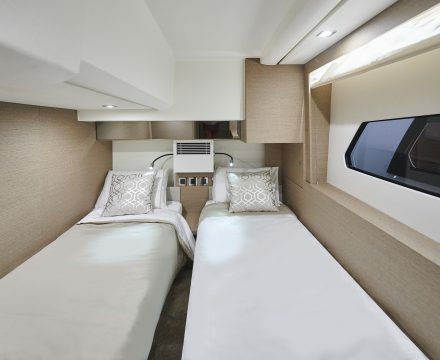 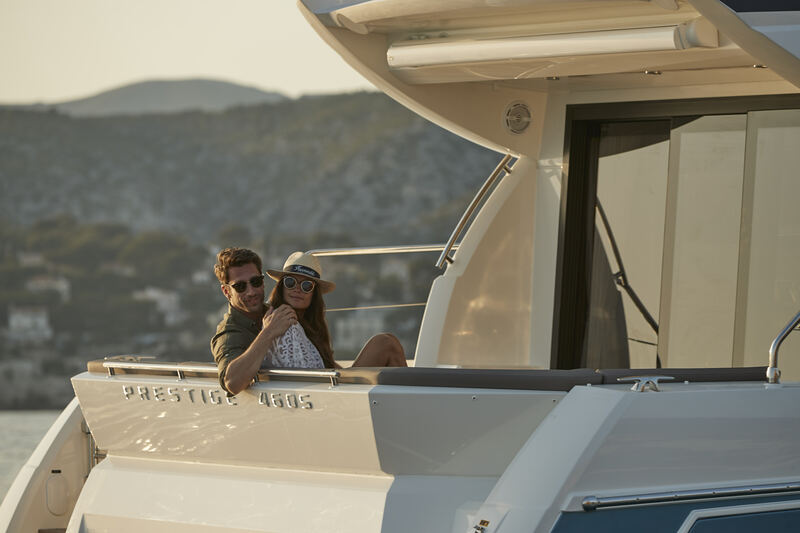 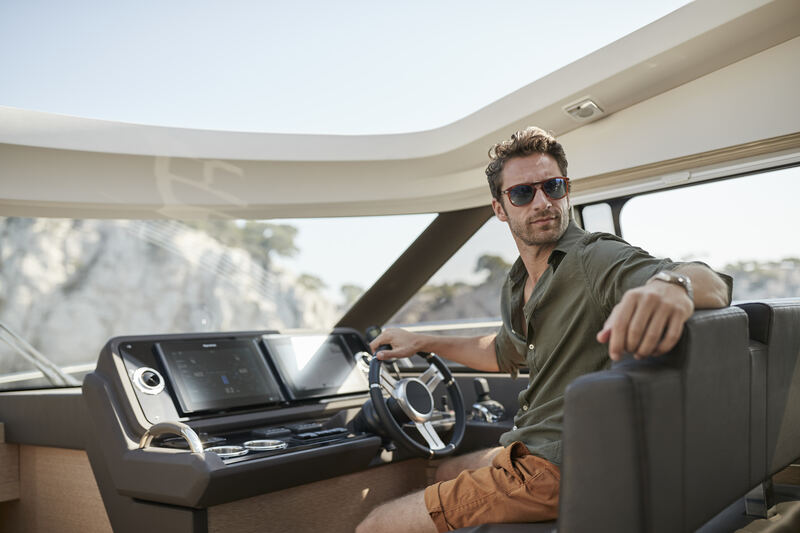 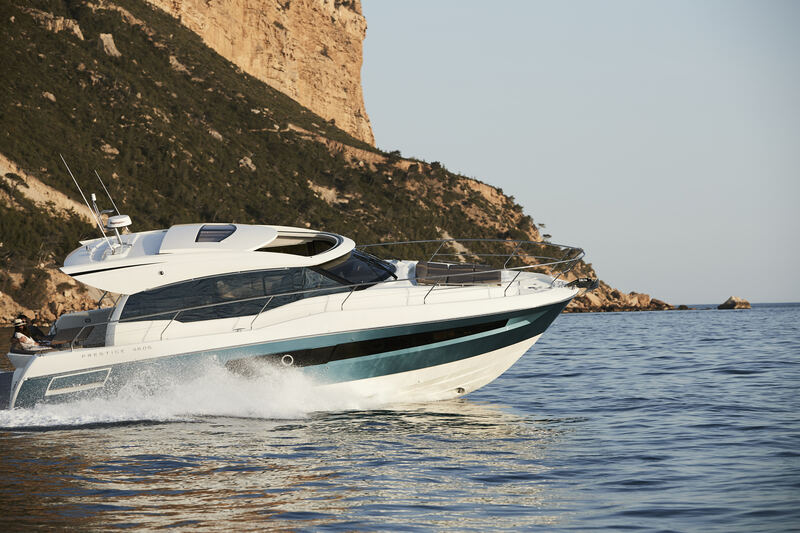 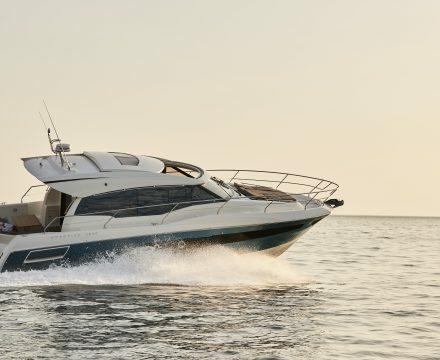 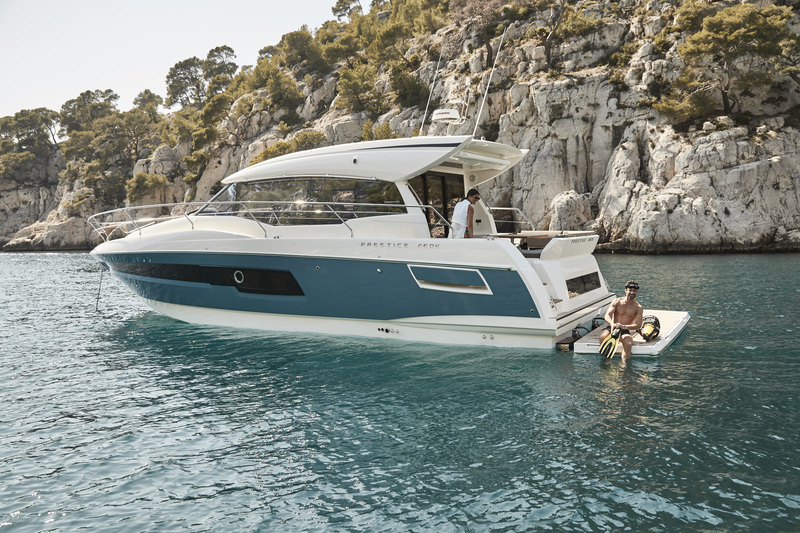 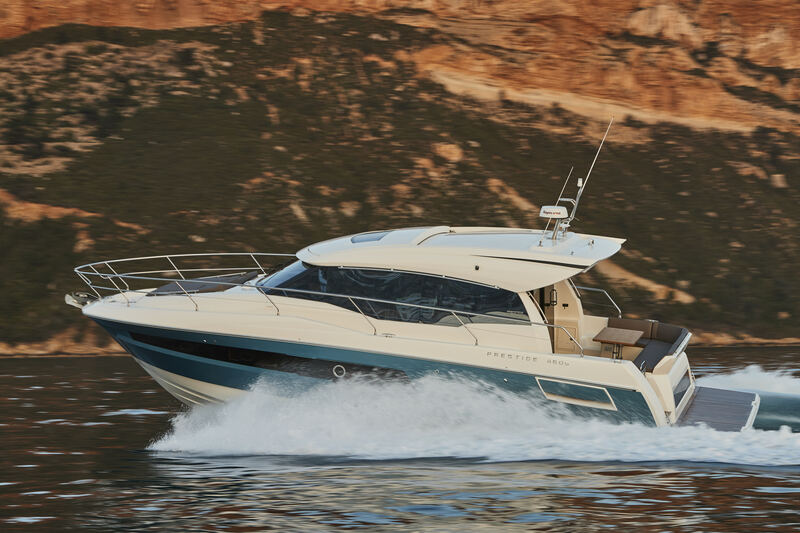 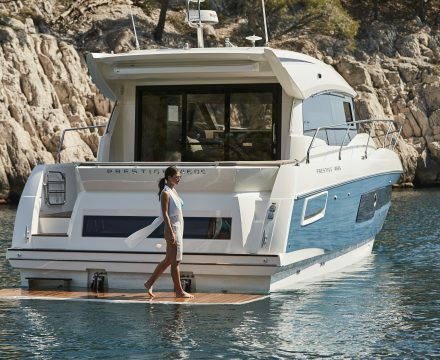 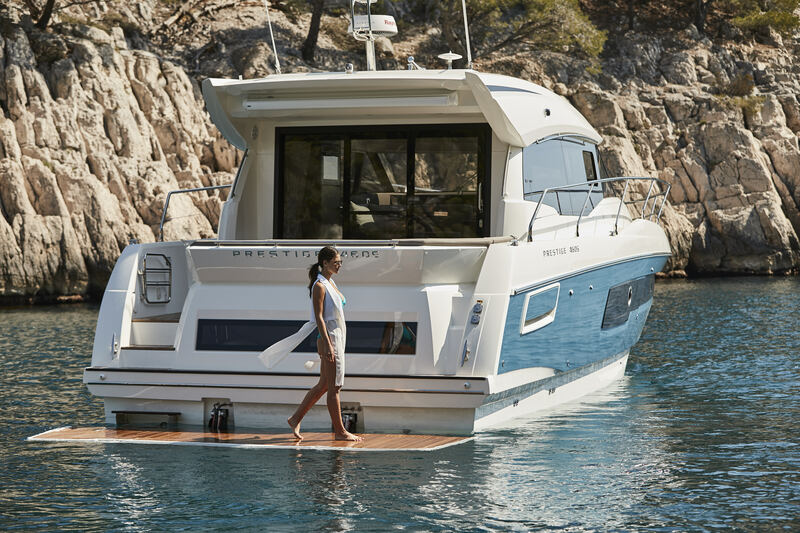 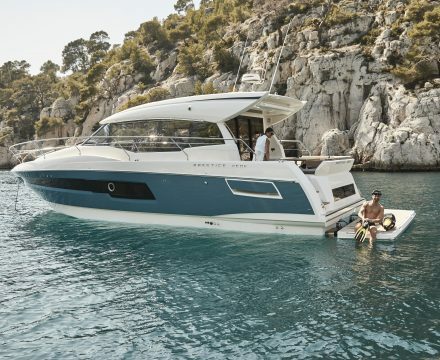 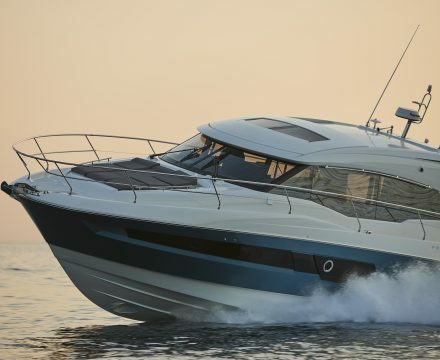 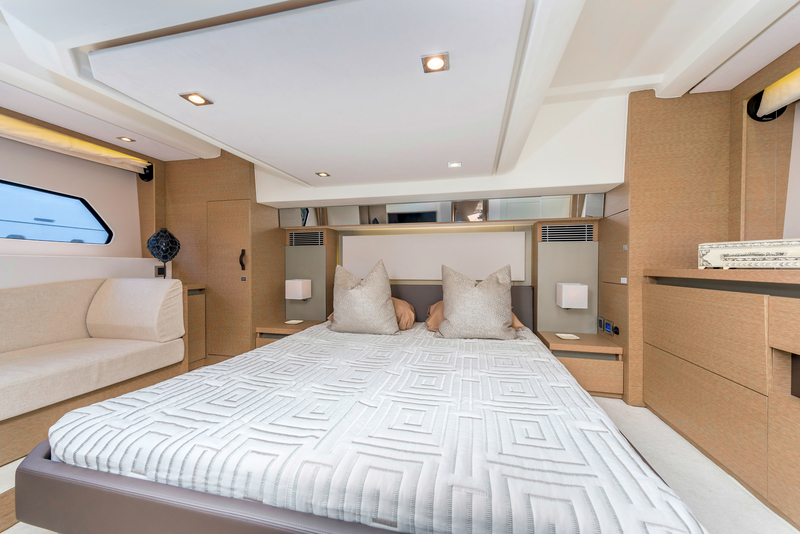 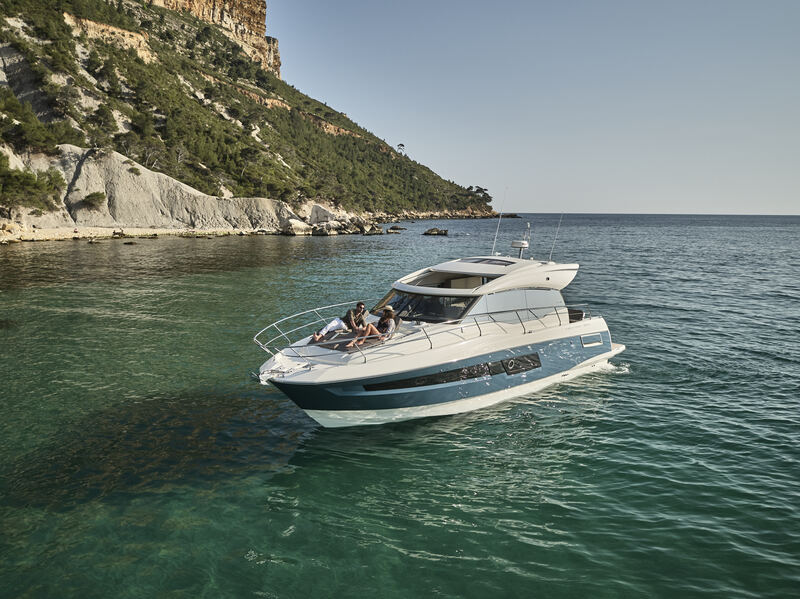 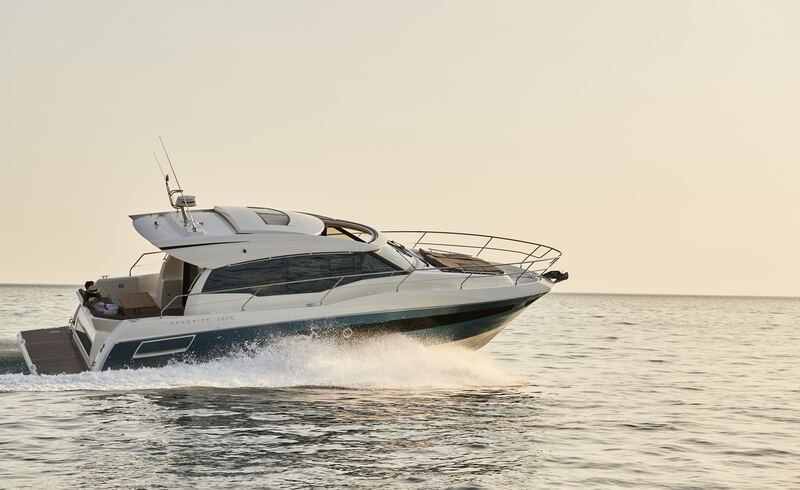 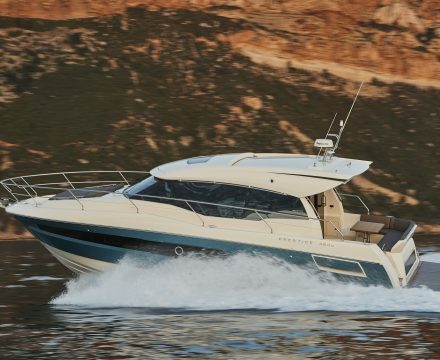 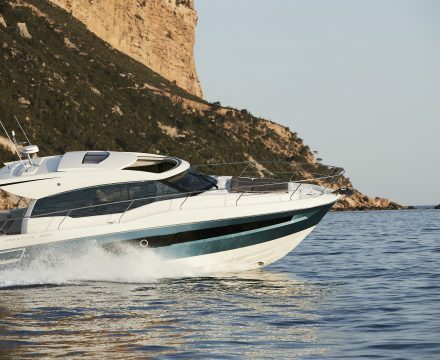 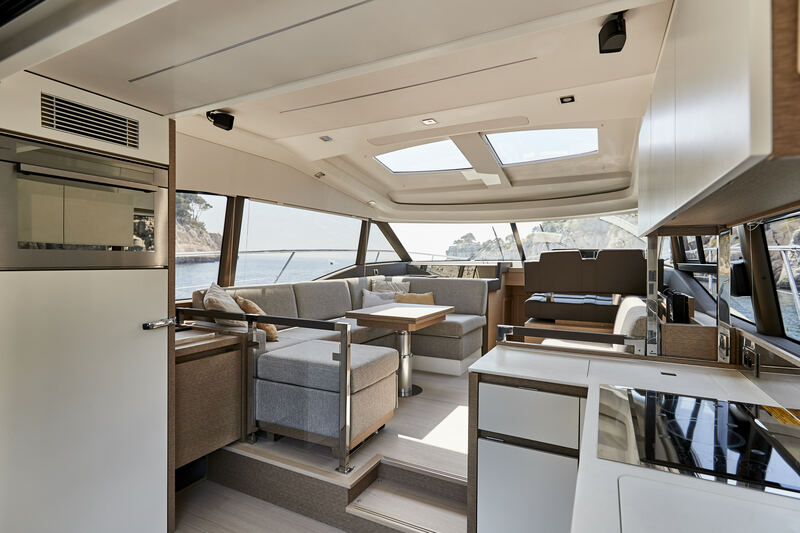 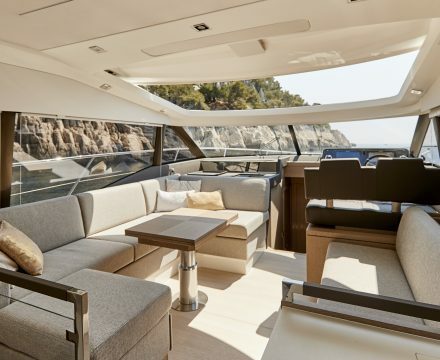 With her remarkable sporty look, the PRESTIGE 460 S LINE benefits from an incomparable design, open to the exterior. 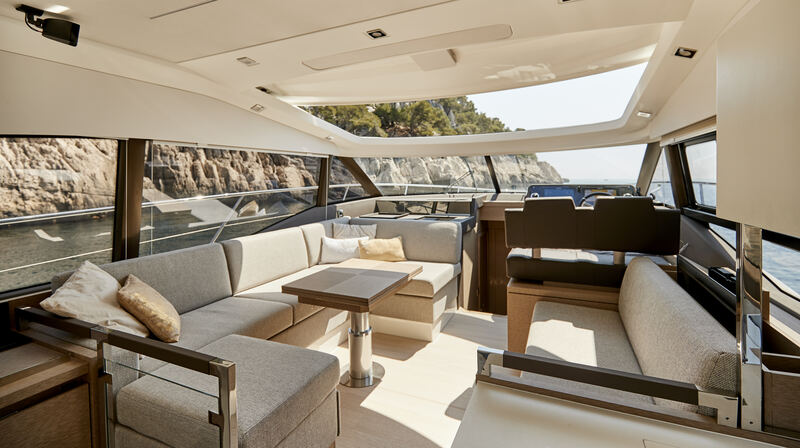 Adaptable to suit your needs, the large opening sunroof and immense sliding glass door aft can be used to modulate the living space. 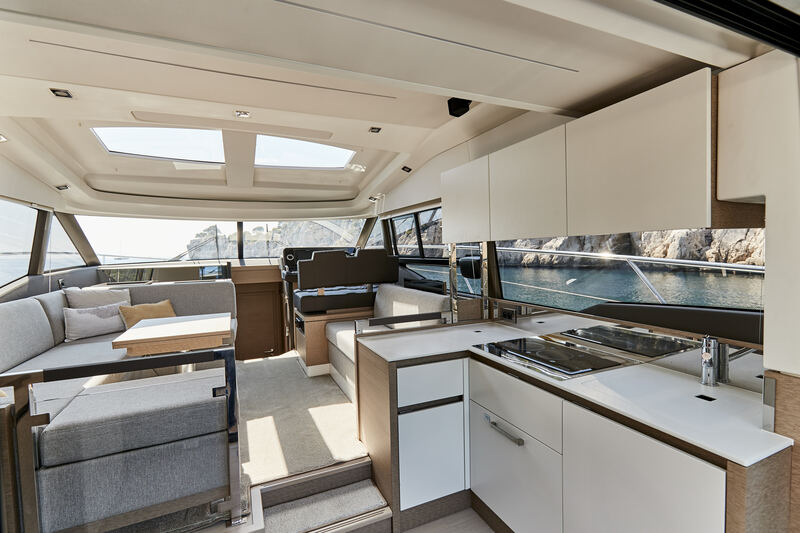 The PRESTIGE 460 S LINE allows one to enjoy an enhanced exterior space when fully opened and a more protected living space when closed.